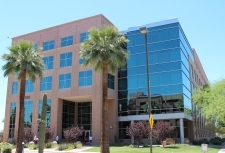 Comments made by individuals or entities other than the Arizona Department of Health Services are the opinions of those individuals or entities and are not necessarily the views of or endorsed by ADHS. For specific health-related recommendations and information visit http://azdhs.gov. We make every effort to moderate all comments in a timely manner. Please allow up to 3 business days for new content to be published to the blog.